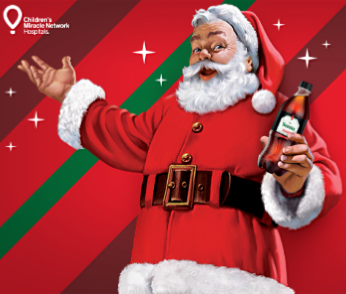 Coca-Cola 2018 Holiday Instant Win Sweepstakes – Thousands of winners! Win 10 Holiday Cards from Tiny Prints or other great Instant Win prizes (thousands of winners)! 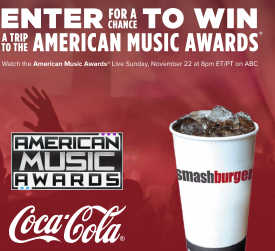 You will need to sign up for a FREE Coca-Cola account before you can enter. You will need codes to enter – FREE codes start on Dec. 18 – Dec. 28 – go to rules to access them. ENTRY LIMIT – Up to 5 Instant Win Game plays per person per day. SWEEPSTAKES ENTRY PERIOD – The Instant Win Game begins at 12:00 p.m. Eastern Time (“ET”), October 29, 2018, ends at 12:00 p.m. ET, December 28, 2018. PRIZES – 5,000 FIRST PRIZES: 1 digital code for 10 Holiday Cards from Tiny Prints. Terms and conditions apply; code expires January 15, 2019 at 11:59 p.m. Pacific Time (“PT”). Approximate Retail Value (“ARV”): $25.90. Choose 10 free Tiny Prints square trim, signature cardstock cards (4×5 flat, 5×5, 5×7, 5×7 folded, foil-stamped (with a purchase of 20 foil-stamped cards) or glitter (with a purchase of 20 glitter cards) through shutterfly.com/tinyprints or our mobile-friendly site. Promo can only be redeemed once per account and/or billing address. This offer code can only be entered once. Other trim, paper and envelope options may incur extra fees. Not valid on Shutterfly products, wedding suite cards, Wedding Paper Divas card designs, other products, prepaid plans, annual savings plans, cards sent using mailing services, prior purchases and orders placed for in-store pick up. Offer is subject to product availability and cannot be redeemed for cash or combined with select offers or credits. Not valid for resale. Tiny Prints reserves the right to modify or replace any part of these terms and conditions without notice. 11,000 FOURTH PRIZES: 1 Magazine Gold Subscription digital code. Code expires on January 31, 2019. ARV: $15.83. 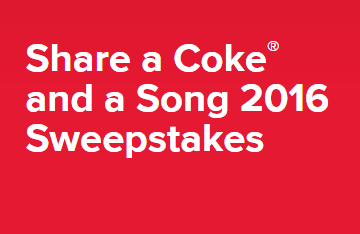 Coca-Cola Share A Coke & A Song 2016 Sweepstakes – Win a $500 Visa Simon gift card! Win a $500 Visa Simon Giftcard! ENTRY LIMIT – Limit: 1 Sweepstakes entry per person per day during the Promotion Period, regardless of method of entry. ELIGIBILITY – The Share A Coke & A Song 2016 Sweepstakes is open only to legal residents of the 48 contiguous United States (or the District of Columbia) who are 13 years of age or older at the time of entry. SWEEPSTAKES ENTRY PERIOD – The Sweepstakes begins at 12:00 a.m. Eastern Time (“ET”), June 6, 2016 and ends at 11:59 p.m. ET, September 5, 2016. PRIZES – 1 GRAND PRIZE: A $500 Visa® Simon Giftcard®, terms and conditions apply. Approximate Retail Value (“ARV”): $500. 92 FIRST PRIZES (1 for each Day of the Sweepstakes): A $2.50 Share A Song Download Card, terms and conditions apply. ARV: $2.50. 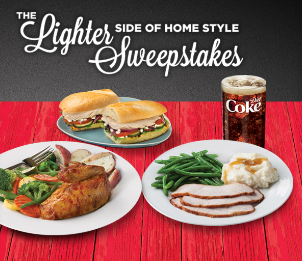 The Boston Market Lighter Side of Home Style Sweepstakes – Win $1,000! ELIGIBILITY – The Boston Market Lighter Side of Home Style Sweepstakes is open only to legal residents of the 50 United States (or the District of Columbia) who are 18 years of age or older at the time of entry. PRIZES – 3 GRAND PRIZES: $1,000 check that can be used to subscribe to, if desired, a 1-year gym membership. Approximate Retail Value (“ARV”): $1,000. 5 FIRST PRIZES: Fitness tracker device. ARV: $100. All details will be determined by Sponsor in its sole discretion. The actual value of electronic prizes is subject to price fluctuations in the consumer marketplace based on, among other things, any gap in time between the date the ARV is estimated for purposes of these Official Rules and the date the prize is awarded or redeemed. 20 SECOND PRIZES: A Diet Coke® swag bag which includes a water bottle and t-shirt. All details of swag bag will be determined by Sponsor in its sole discretion. ARV: $20. 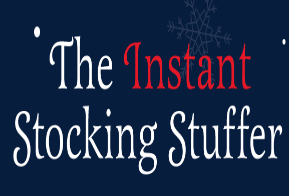 Coca-Cola Instant Stocking Stuffer Sweepstakes & IWG – Win 2 airline tickets! You can request a FREE code to be emailed to you (one code per day). ENTRY LIMIT – Limit: 1 Sweepstakes entry and 1 Instant Win Game play per person per day during the Promotion Period, regardless of method or combination of methods of entry or of obtaining codes. ELIGIBILITY – The Instant Stocking Stuffer Sweepstakes (the “Promotion”) is open only to legal residents of the 50 United States (or D.C.) and Canada who are 18 years of age or older at the time of entry. SWEEPSTAKES ENTRY PERIOD – The Promotion begins at 12:00:00 a.m. Eastern Time (“ET”), November 27, 2015 and ends at 11:59:59 p.m. ET, December 31, 2015. 1 SWEEPSTAKES GRAND PRIZE: If a U.S. resident is the winner, he or she will receive vouchers for 2 airline tickets valid for travel within the contiguous U.S. (or D.C.) only. Terms and conditions apply. Approximate Retail Value (“ARV”): $1,200 USD. If a Canadian resident is the winner, he or she will receive a prize of round trip air transportation for 2 within Canada only; and travel agent services. Terms and conditions apply. ARV: $4,600 CAD based on a Toronto departure. 80 SECOND PRIZES: A $10 Amazon.com Gift Card claim code, terms and conditions apply. ARV: $10 USD. 240 THIRD PRIZES: A $5 Amazon.com Gift Card claim code, terms and conditions apply. ARV: $5 USD. 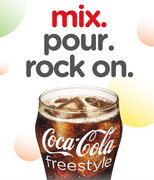 Coca-Cola Freestyle 2015 Mixing Program Sweepstakes & IWG – Win a $500 digital gift card! Win a $500 digital gift card (13 winners)! ENTER SWEEPSTAKES HERE – Coke Freestyle Sweepstakes page. ELIGIBILITY – The Coca-Cola Freestyle 2015 Mixing Program is open only to legal residents of the 50 United States (or D.C.) who are 18 years of age or older at the time of entry. SWEEPSTAKES ENTRY PERIOD – The Promotion begins at 12:00 a.m. Eastern Time (“ET”), September 1, 2015, ends at 11:59 p.m. ET, November 30, 2015. PRIZES – 13 SWEEPSTAKES WEEKLY PRIZES (1 awarded during each Weekly Entry Period): $500 digital gift card. ARV: $500. 25,000 INSTANT WIN GAME PRIZES: A digital code redeemable for a song download. ARV: $1.50. 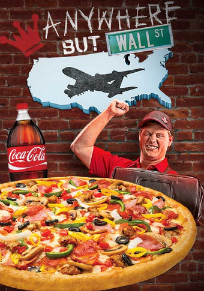 Coca-Cola Taste of Tuscany Sweepstakes & IWG – Win a trip to Las Vegas! 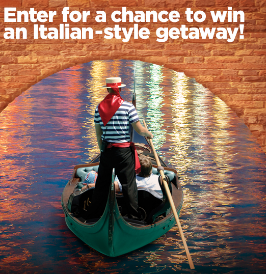 ELIGIBILITY – The Taste of Tuscany Sweepstakes (the “Promotion”) is open only to legal residents of the 50 United States (or the District of Columbia) who are 21 years of age or older at the time of entry. SWEEPSTAKES ENTRY PERIOD – The Promotion begins at 12:00 a.m. Pacific Time (“PT”), August 17, 2015 and ends at 11:59 p.m. PT, November 2, 2015. 1 GRAND PRIZE: A 4-day/3-night trip package for 2 to Las Vegas, NV consisting of round trip, coach-class air transportation for 2 from a major airport near winner’s home in the 50 United States (or the District of Columbia) (determined by Sponsor in its sole discretion); 3 nights’ accommodations in Las Vegas (hotel determined by Sponsor in its sole discretion, single room, double occupancy, subject to general terms and conditions of occupancy as may be in effect at the time thereof); $500 dining credit (to be used at select restaurants); and $500 resort credit (to be used for select services and products). All charges must be charged to the guest’s hotel room to redeem credits. Winner must complete the trip within 1 year from the drawing date or prize will be forfeited. Winner must book trip at least 21 days prior to departure. Travel subject to availability and certain blackout dates apply. Travel must be round trip. Sponsor will determine airline and flight itinerary in its sole discretion. No refund or compensation will be made in the event of the cancellation or delay of any flight. Travel is subject to the terms and conditions set forth in these Official Rules, and those set forth by the Sponsor’s airline carrier of choice as detailed in the passenger ticket contract. If trip destination is less than 250 miles from the winner’s residence, winner will be provided $200 in spending money for driving expenses in lieu of air transportation. All expenses, travel, and other costs not expressly stated in the package description above are the sole responsibility of winner. Winner’s guest must be 21 years old or older. Except where prohibited, travel companion must execute liability/publicity releases prior to issuance of prize documents. Restrictions, conditions and limitations may apply. Lost, mutilated, or stolen tickets, vouchers or certificates will not be replaced. Approximate Retail Value (“ARV”): $1,750. 1 FIRST PRIZE: A set of Italian cookbooks. ARV: $200. 100 SECOND PRIZES: $20 Boston Market gift card, terms and conditions apply. ARV: $20. Coca-Cola/Rite Aid Score More Sweepstakes & IWG – Win a $10,000 Scholarship! 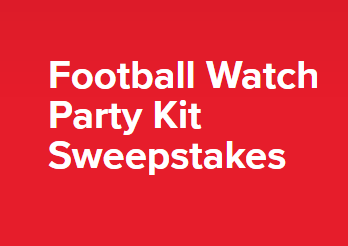 ENTER SWEEPSTAKES HERE – Coca-Cola/Rite-Aid Sweepstakes page. 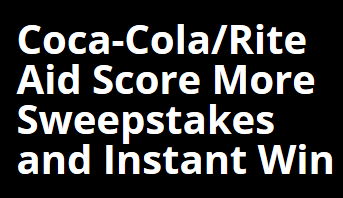 ELIGIBILITY – Coca-Cola/Rite Aid Score More Sweepstakes and Instant Win is open only to legal residents of the 48 contiguous United States (or D.C.) who are 18 years of age or older at the time of entry. SWEEPSTAKES PERIOD – The Promotion begins at 12:00 a.m. Eastern Time (“ET”), March 2, 2015 and ends at 11:59 p.m. ET, March 29, 2015.